I have been blogging for about 4 years and I rarely attend blogger events. First, because I almost always feel out of place. Second, I always have to deal with the questioning faces of people when they find out that I blog about nails. 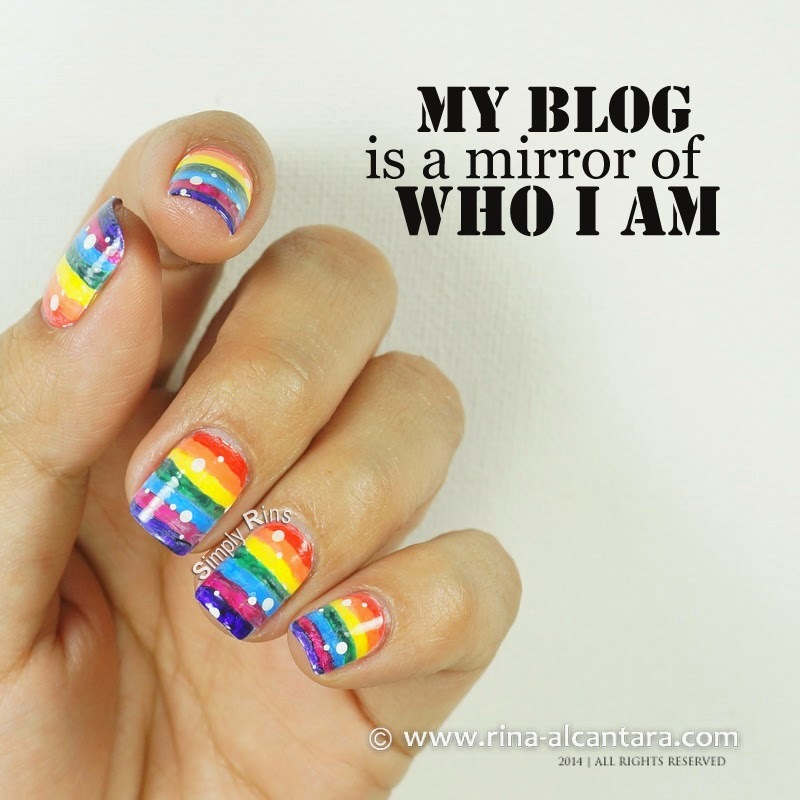 You see, there are only a few (I know only a handful) of nail art bloggers here in the Philippines and for a time, it was hard explaining to people why I actually chose to blog about nails. But all these challenges never stopped me from sharing my art online in hope that I could inspire people, make a significant mark, and improve the way some people think about nail art blogging. I am proud of how my blog grew through the years, mostly of how I grew as a blogger. But I know there are always new things to learn. 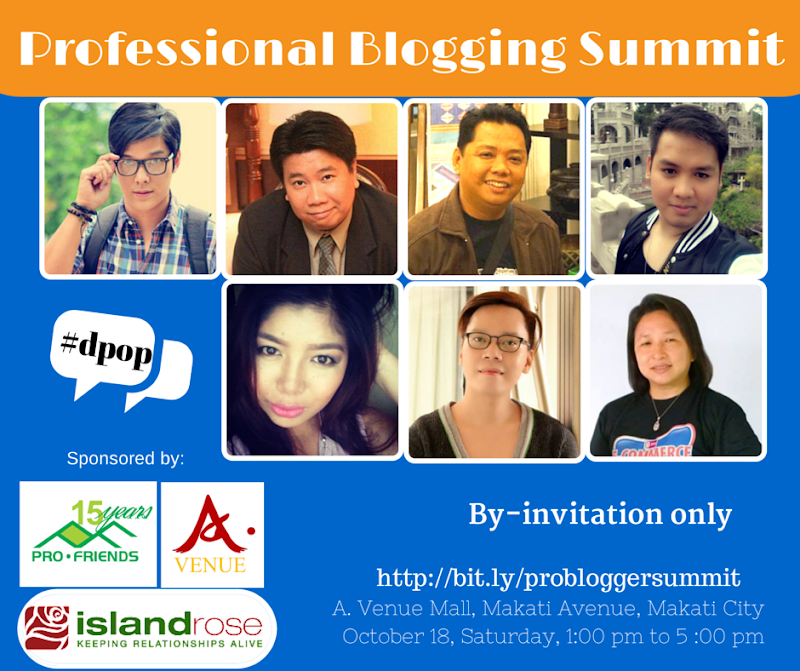 So I registered to the first Professional Blogging Summit that happened last October 18, 2014 in Makati City. The event was organized by Janette Toral and Jeoff Solas. There were 6 key speakers that afternoon -- Azrael Coladilla, Ross Flores Del Rosario, JayL Aquino, Seph Cham, Jeoff Solas, and Sai Sayson-Montes. Each one shared their story as a blogger and how their blogs paved the way for other opportunities. Their stories made the afternoon interesting because I (we) got a lot of insights from their blogging experiences. As I listened to every speaker narrate and talk about their stories, I began to think about what do all of them had in common? What were they trying to say? I thought about this a lot on the way home and there were 2 things that I was reminded of after the blogging summit. Know what you truly love and blog about that. I didn't have a specific niche when I started blogging. I had random posts on just about anything until I became weary. It was as if I was forcing myself to blog. The only time things started falling into place was when I began blogging about nail art. Nails is my fetish and I have been drawing since I could hold a crayon. There certainly isn't a more suitable niche for me. And it was only a matter of time when I stumbled upon the world of nail art online. I seriously wanted to do that, I told myself. The rest was history as they say. I began to explore my many options until I settled to what I really love to do -- freehand nail art. It felt great to be drawing again, on such a small canvas to boot! My journey as a nail art blogger was not easy. There were many detractors. I have been discouraged so many times to stop blogging. But the speakers were right, nothing can ever stop the force of passion. When you love what you do, you will always find a way to make it work. Speakers Azrael and Ross emphasized the importance of networking and joining a blogger community. I actually tried that and I failed miserably. How can a nail art blogger fit into a pool of categorized bloggers? In fact, I often needed to explain my attendance to beauty or fashion events to fellow bloggers. It was disheartening, but I continued blogging about nail art and kept on improving my craft. I even took basic photography lessons so I could present my work better on photos. Eventually, my work got recognized and more people started to appreciate what I can do with my nails. I also discovered that even though I cannot find a physical community here in my home country, the online nail community is very supportive and tightly knitted. When you blog about your passion, you will instinctively improve yourself and consequently your blog simply because it comes natural to you. The blog is a reflection of the blogger. Everything on the blog somehow mimics the person behind it. You can tell a lot about the blogger by browsing his/her blog. The style of writing, the blog layout, the photos, the content itself, and everything else should be truthful to who the blogger is. It's hard to pretend to be a different person online because eventually, your real self will show and that could create problems. Integrity and credibility are 2 of the most important commodities in blogging. All the speakers during the summit essentially pointed to that. I have to admit that when I started blogging about nail art, I was browsing the internet nonstop for nail art designs other nail art bloggers were doing. At the time, people were into the stamping technique. I immediately hoarded templates and posted nail art using them. But soon, I felt that it wasn't me at all. I draw, I cartoon, and I illustrate. I switched to freehand and I loved it instantly. Since then, I've been doing freestyle nail art designs and blogging about it became more fun. In fact, it was my first freehand nail art that I think propelled this blog. I guess what I am trying to say here is that the summit made me realize that the more I am true to myself on everything pertaining to my blog, the more establish it becomes. And if may add, it is not enough that your blog mirrors you, it matters too that you are righteous. Sometimes as bloggers, we need to be reminded of certain things in order to be grounded. And so I'm glad that I got a confirmation of my attendance to the first Professional Blogging Summit last week. Thank you to A.Venue, Profriends, Island Rose, and Salad Box for sponsoring the event. We were here to attend an event, for dinner we had shrimp and prime rib. Party planner was good and the service was extremely fast.